Everyone knows the famous faces from their favorite shows, but there are so many others working behind the scenes to bring the action to your screen — one of those people is James Pearse Connelly. The production designer's credits include The Voice, Top Chef, Nailed It!, Bill Nye Saves the World, World of Dance and, most recently, The Masked Singer and Project Runway's current season. But what exactly does production design entail? "Production design is everything on camera that's away from the actor... and [it] encompasses everything," Connelly tells TV Insider. "Lighting plays a part in that and, yes, even audio and how audio acts in that [space]. I do all sorts of design projects in my scope of work." Having worked in the business for years, he's learned from his mistakes. "I look back on past work and I see nothing but mistakes, and so every project, I feel like, is influencing my next one," Connelly shares. "And even though I'm afraid to get older… I'm excited to get older because the work keeps getting better." That certainly can be said about his recent gig with Fox's breakout hit The Masked Singer, but don't expect any secrets out of the designer. "I didn't know any of the contestants, neither did the director… Nobody knew," he says of the stars' identities during filming. And that, ultimately, was the challenge. "There's a little bit of guesswork on my side in terms of how the talent is going to react to how the stage lays out and how the performances play out... They can't walk up steps — that would be really difficult — so you have to make it really smooth and simple and give the stage a sense of theatrics." Executive Jane Lipsitz offers some insight on the returning show's fresh point of view and new look. 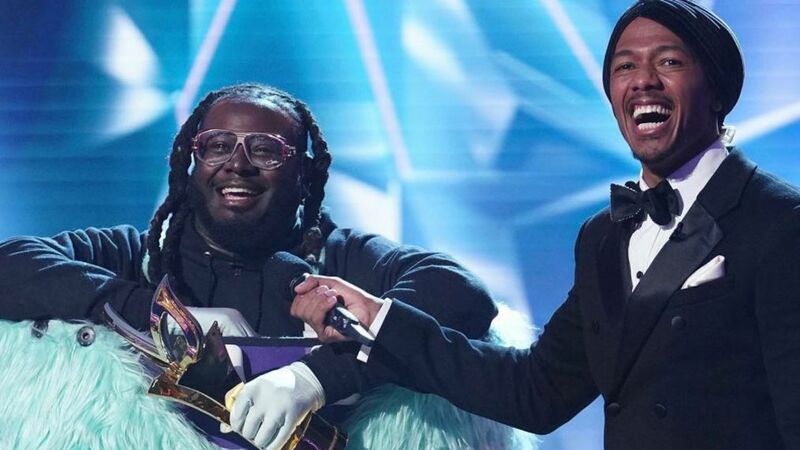 The Masked Singer is adapted from a Thai reality series in which Connelly looked for inspiration, though he did not rely on it entirely for design ideas. "It was my aesthetic opinion to make sure it felt cool and stylish, and fun and intimate enough for someone to watch on TV and say 'I kind of want to be there, and be in that space,'" he says of the Fox show. The only condition he was faced with? "It was important for the format developers — the people who bought the show from wherever it comes from — that it had a similarity to the stage layout" And so he took that opportunity and ran with it, giving the show "a bit of a makeover." Connelly shares that he saw The Masked Singer as "more of a singing competition comedy... more of a party as opposed to a rock show." And when it came to the stage embellishments, he says opera inspired him with the competitors wearing such grandiose costumes. Looking at Connelly's credits, you can't help but notice a variation in projects and genre — Project Runway and The Masked Singer are two totally different reality competition shows. "It keeps me sharp, because you sort of get to analyze how people work and how they want to work their show," Connelly explains. The rapper/singer opened up for the first time about being crowned the first season winner of the Fox series. "You have to design a set that can capture all of that action… Project Runway is a process production where somebody is working and doing something to get to an end goal at the end of the show. And there are multiple areas to do that and then they present their work in a space. That is completely different from The Masked Singer, which is a stage performance show." One commonality, however, was that both shows were, in a way, starting fresh. Sure, Project Runway has been on the air for many years, but its Bravo return marks the beginning of a new era. "It's a total renaissance for the show," he reasons. "The space is in Brooklyn and it's a legitimate working factory/sound studio and we're really working there, and we're really housed there. We're embracing daylight and real-world textures and it's not camera safe… We made it current, we made it relatable to what people see on social media, what they think real fashion shows are. I'm super proud of it."